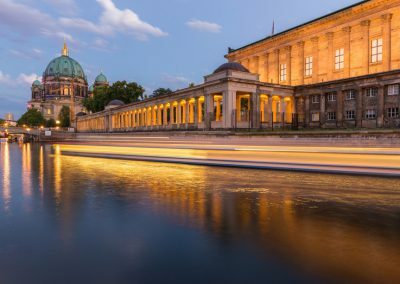 A tour through Berlin’s tumultuous history of the past 200 years. 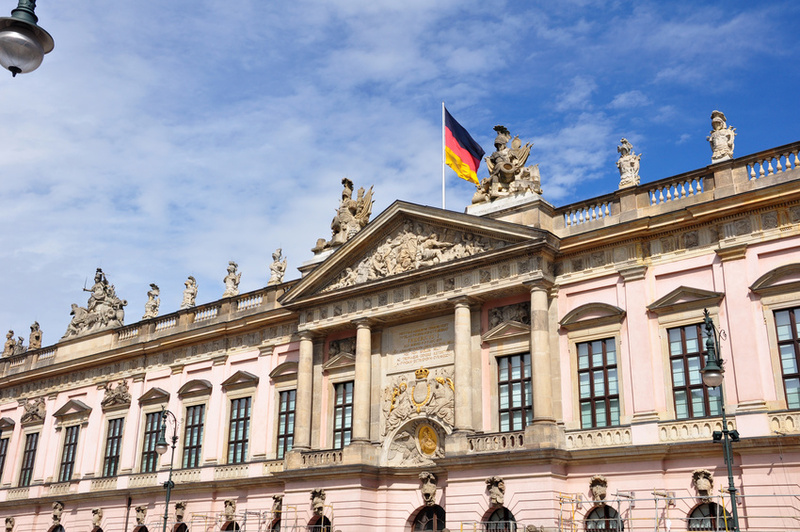 This popular walking tour takes you through several hundred years of German history. The focus lies on the years between 1871 and 1961. 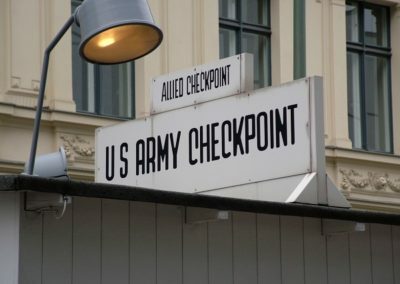 Stops on this tour include the Holocaust Memorial by Peter Eisenmann, the site of Adolf Hitler’s first (non-public) speech in Berlin and world-famous Checkpoint Charlie. 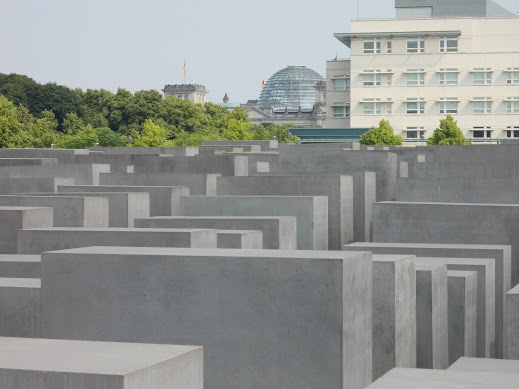 Moreover, you will get to see the location of the Führer Bunker, the former Ministry of Aviation (today: Germany’s Ministry of Finance) and the Topography of Terror. Also included are Potsdamer Platz, the Soy Center, as well as an early building by British-Iraqi architect Zaha Hadid. 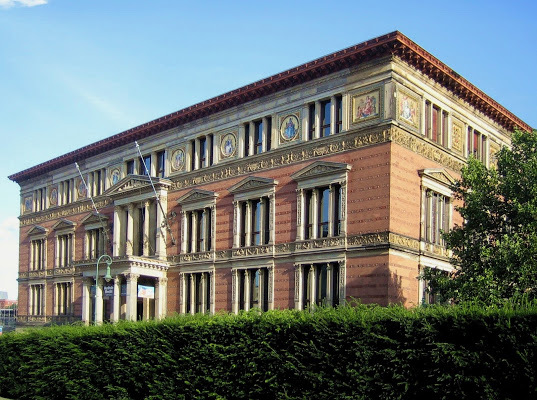 On request, I can also include the legendary Hansa Studios where David Bowie recorded his famous “Berlin Trilogy”. 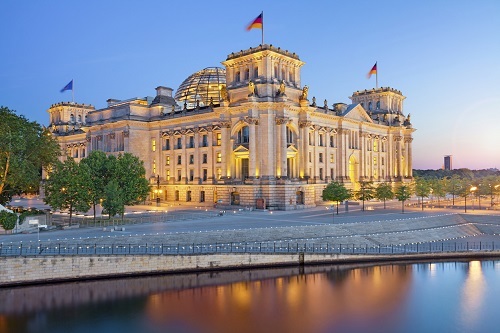 The tour concludes at the Brandenburg Gate and, time permitting, with a brief stop at the Reichstag. In just under three hours this walking tour packs it all in. 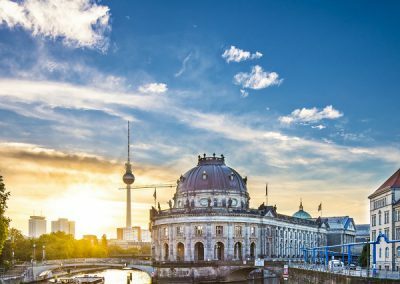 It gives you a quick, overall introduction to Berlin. 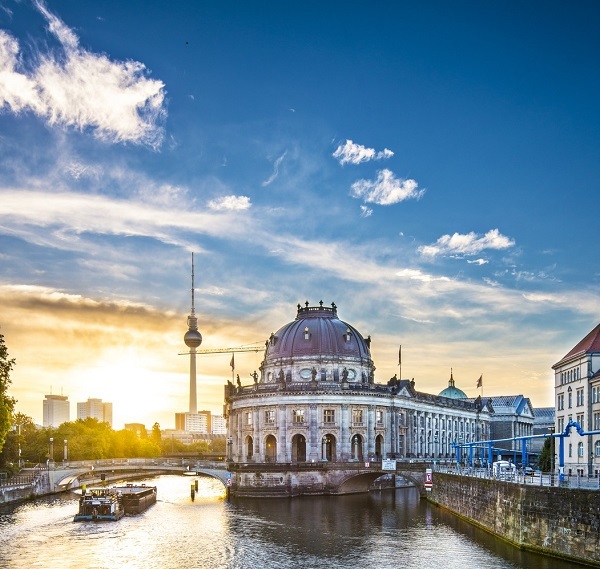 Berlin, a city with a history that is as rich as it is troubled and tumultuous. 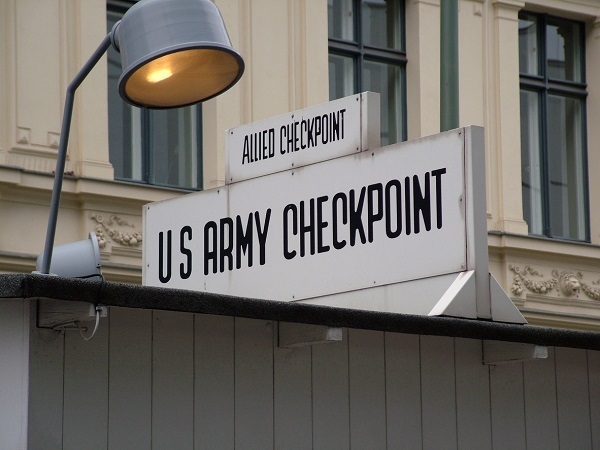 Starting at Checkpoint Charlie, this walking tour will take you along the former border between East and West Berlin. 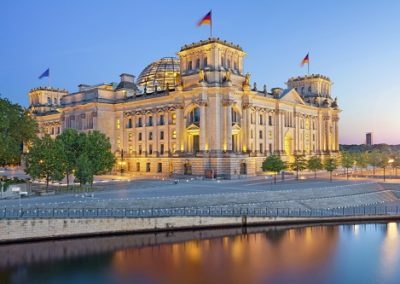 By doing so, we will pass the former Reich’s Ministry of Aviation (where the infamous Hermann Göring planned the bombings of London and Bath (“Baedeker Bombings”) and which today houses Germany’s Ministry of Finance, of all things! You will also get to see the location where Hitler gave his first (non-public) speech in Prussia, back in 1927. 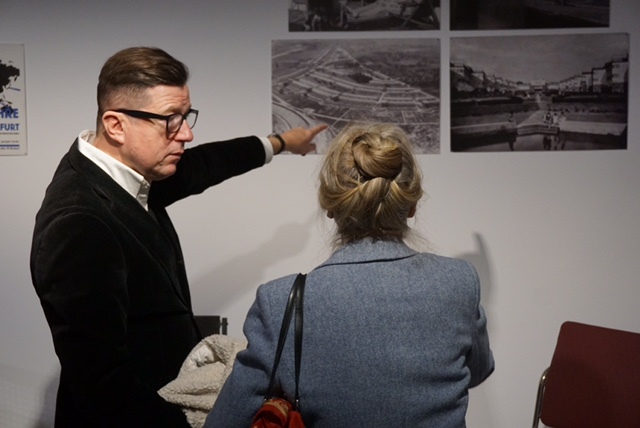 Furthermore, we will stop at the Topography of Terror with its excavations of former Gestapo prisons and where one of the last remaining sections of The Berlin Wall are still visible. Passing the Martin Gropius Building and the Parliament of Berlin, we’ll eventually reach Potsdamer Platz, including the Sony Center and the Boulevard of the Stars, which looks nothing like it did 100 years ago, yet is just as busy, and finally, we will reach the location of the Führer Bunker and eventually, the Holocaust Memorial. 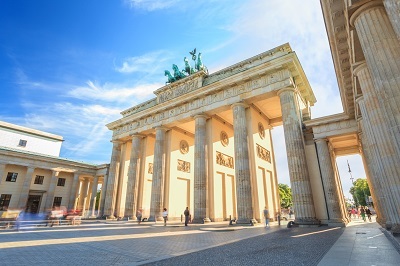 This walking tour ends at the Brandenburg Gate, today a symbol for Germany’s darkest but especially its most glorious hours. By the way: If you’re a fan of David Bowie, a short detour to the legendary Hansa Studios is optional as it is close by. Bowie recorded one of his most memorable albums (“Heroes”) right there. But besides him, Depeche Mode, K.T. 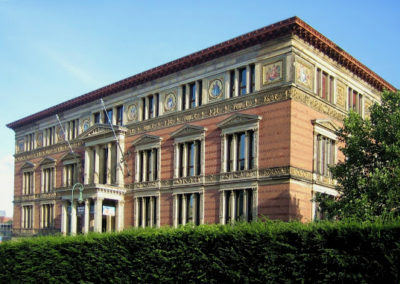 Tunstall and many others have also contributed to cement the legend of these studios, which, during Bowie’s Berlin period, were located right next to The Berlin Wall. Of Germany’s roughly 550,000 Jews in 1933, around one third of them lived in Berlin. This means, that Berlin used to have a very vibrant, very visible, Jewish community, especially since Jewish life in Berlin goes back centuries. For one, there were the Jewish families especially invited by the Great Elector to settle (and invest) in Berlin in the late 17th century. As a result, the first synagogue was built in 1714. Sadly, it no longer exists. One of Berlin’s Jewish Community’s most significant member entered Berlin through the Rosenthaler City Gate in the early 18th century, Moses Mendelssohn. His influence not just on the German Jews and Berlin’s Jewish community, but on the intellectual life of Germany as a whole, was substantial. During the outgoing 19th century so-called Eastern Jews began to settle in the Barn Quarter. 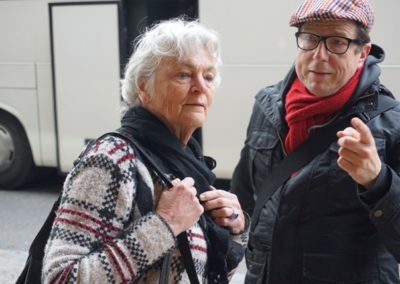 They had fled programs in Russia and were on their way to board steamers in Hamburg to bring them to the US, but got stuck half-way in Berlin. The vast majority lived in abject poverty, worked as peddlers and street merchants. With the Nazi-takeover Jewish life in Germany – which had its heyday in the 1920s – came to a rapid and tragic end. This meant that by the end of World War 2, Berlin’s Jewish community had shrunk to just a few thousand survivors. Many of them, understandably, chose to leave the country to make their – new – home elsewhere. Luckily, today’s situation is different as Germany now has the fastest growing Jewish community in Europe. With the Fall of The Wall, many Jews left the former USSR to make Germany their new home. 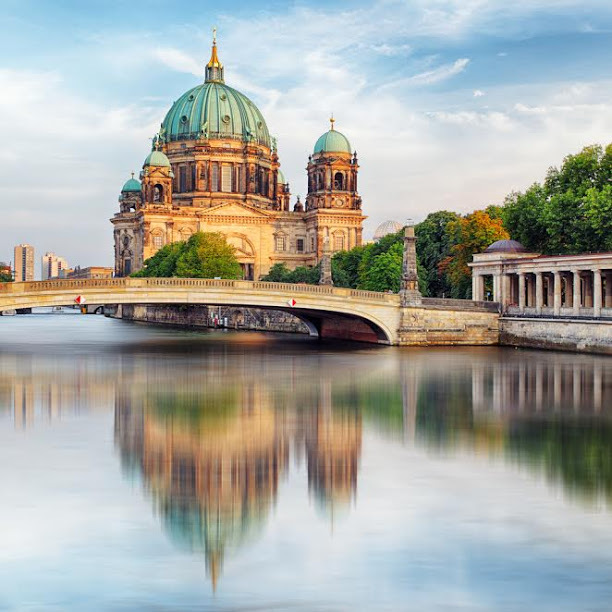 There is also a substantial community of young Israelis, many of them Jewish, who settled in Berlin due to the city’s vibrant art scene, but also because the Berlin of today is such a diverse city where everyone can be what they want to be. This guided tour starts at Hackescher Markt. Our first stop is Haus Schwarzenberg, where we’ll visit Otto Weidt’s Workshop for the Blind. In it, Weidt tried his best to save Jews from deportation by deliberately employing them. For his efforts, Weidt was named “A Righteous Among The Nations” by Israel some years ago.) 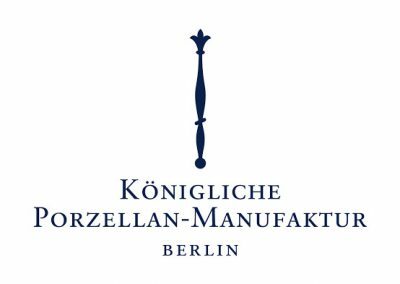 Next, we’ll criss-cross through what some 100 years ago was a working class district, yet now is one of Berlin’s most cutting edge neighbourhoods. Soon, we’ll reach the so-called Barn Quarter, where at the end of the 19th century many Jews from Eastern Europe used to get stuck on their way to Hamburg, to eventually board a US-bound steamer. Winding our way through the narrow streets of the Barn Quarter – which now is lined with trendy shops and eateries – we’ll then reach the then-called Spandauer Vorstadt where Berlin’s oldest Jewish cemetery is located (destroyed by the SS in 1943). Then, we’ll walk our way through this quaint neighbourhood until we reach Koppen Platz with its haunting Deportation Memorial. 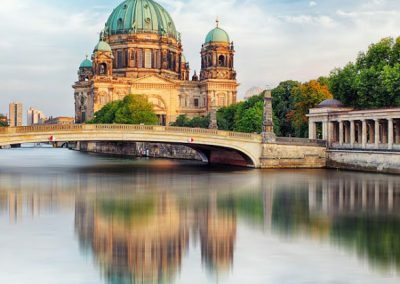 After a visit to a building by architect Alexander Beer which once housed a Jewish Girls’ School, this guided tour then finishes at the world famous New Synagogue. Berlin under the rule of the Hohenzollern dynasty, most notably, Frederick The Great. The Hohenzollern were Prussia’s ruling dynasty ever since it turned from duchy to kingdom in 1701. Looking up to the French, everything that was created under their rule was modeled on their much envied French neighbors. But unlike the French kings, the Prussian kings were always short of cash. That is the reason why most of their palaces are slightly less opulent than their French counterparts. Having said that, there was one, Frederick The Great, who ruled Prussia from 1740 to 1786. Frederick The Great was as cultured as he was a bit of war-monger. At any rate, money wasn’t quite so tight, enabling him to turn his vision for Berlin (and Potsdam) into reality. And so he most definitely left his mark on both cities, never mind the fact that he, too, was very much in awe of what went on “outre-Rhin”. Under his reign, quite a few buildings were created which mark Berlin and its surroundings to this day. 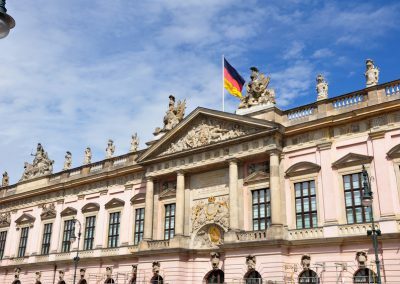 The State Opera, the Prince Heinrich Palais (now the Humboldt University) and, of course, Sans Souci Palace, are some of them. But there is a lot more to be experienced on this tour. 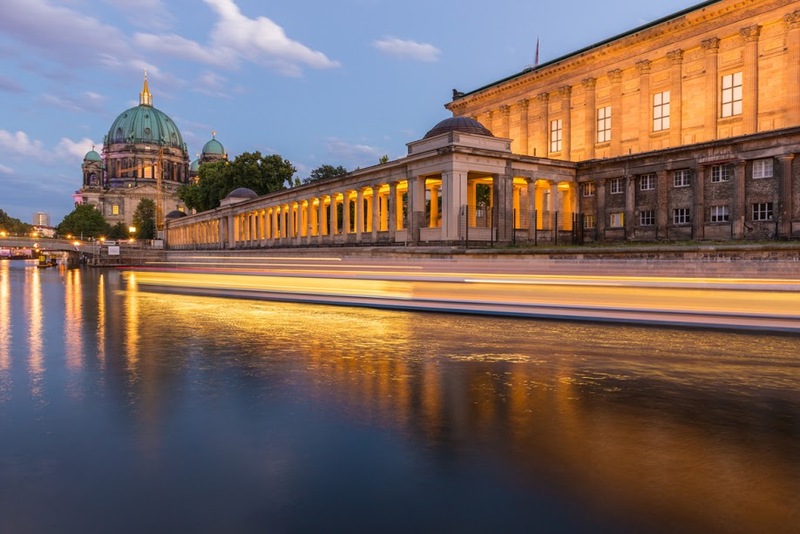 For instance, Gendarmenmarkt, the Barenboim-Said Academy, a row of buildings formerly owned by the Mendelssohn family, and so on, that make this walking tour more than worth your while! Starting at Gendarmenmarkt – which is steeped in history – and considered one of Berlin’s most extravagant squares, we’ll continue our walking tour along Jäger Strasse, which once was the domain of the Mendelssohns, having owned three buildings (or rather, palaces) on this tiny stretch which is one of Berlin’s most historic streets since it was also the home of Rahel Varnhagen, one of Berlin’s foremost 18th century (Jewish) salonnieres, whose Literary Salons were attended by anyone who was someone at the time, including the Humboldt brothers. Reaching Hausvogteiplatz, I’ll explain its significance to Berlin’s now gone garment industry (similar to the Sentier in Paris), before our guided tour takes us to Bebelplatz with its wide range of buildings and memorials (St. Hedwig’s Cathedral, former Royal Library, newly renovated State opera by Knobelsdorff, Micha Ullmann’s Book Burning Memorial, Hotel de Rome – formerly the HQ of Dresdner Bank – Altes Palais, Humboldt University, etc. ). 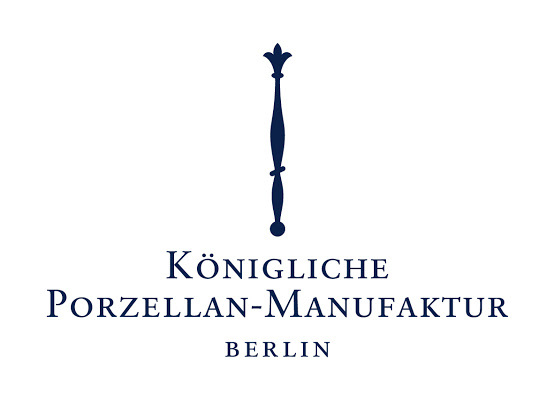 Next, we continue to Schinkel’s Neue Wache, the Zeughaus (housing the German Historical Museum), the Humboldt Forum (to open in 2019), Berlin Cathedral, before ending our walking tour on Museum Island with its architectural masterpieces by Schinkel and Stüler, home to world renowned collections of Byzantine, Islamic, and Egyptian art. For 28 years, Berlin was divided by The Wall, referred to as Wall of Shame by the West and an Antifascist Protection by the East. 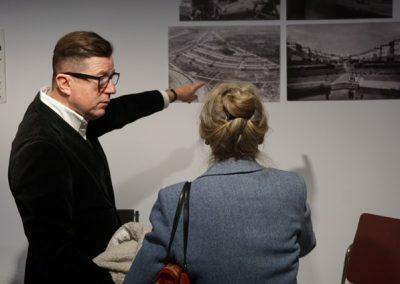 Hundreds of people lost their lives in their determination to flee the GDR’s totalitarian regime, be that through a tunnel, by balloon, by trying to swim across the river Spree, and so on. The stories of flight are manifold. And so are the stories behind the creation of The Wall itself. This infamous structure didn’t just appear overnight but, in fact, was, well, a work in progress. It was constantly fortified and made ever more impenetrable. 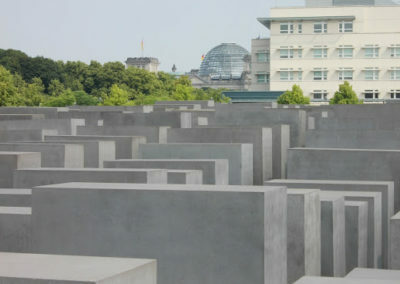 During your private guided tour with Berlin Tours, you will get all the details and background information. Not only on The Wall itself (or rather: the “four generations” of it), but also on the perfidious system that kept The Wall going for 28 years. 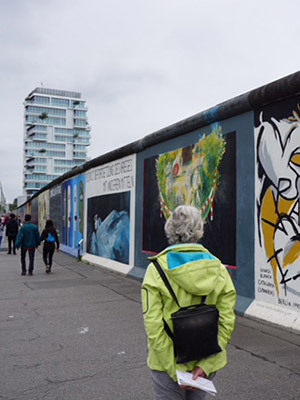 This tour takes you along the Wall Memorial, starting at Nordbahnhof, a train station which had the curious yet shameful distinction that one exit was in the East and another one in the West, and therefore was out of use while the Wall was up. From there, we’ll walk along the former death-strip where all the particulars of how the system of The Wall worked are explained by me in detail. Though The Wall zig-zagged all the way across the city, the ramifications and implications of the division were especially palpable here, at this particular location, as it was here that parts of a cemetery were removed, a church was being demolished, a whole bunch of streets were turned into dead-ends – and all because they all stood in the way of creating one of the most infamous structures of the 20th century. 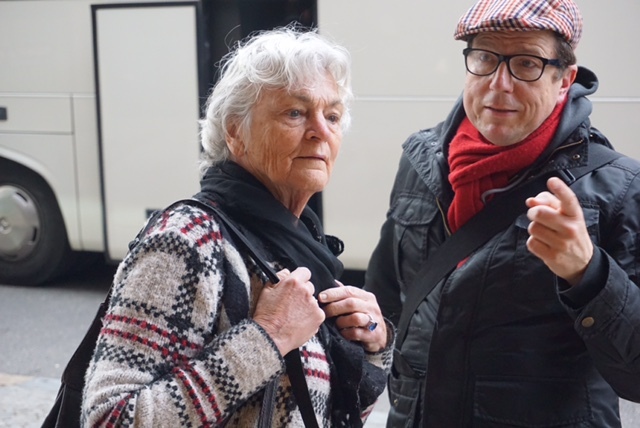 This tour is a haunting experience, not for the faint-hearted, and a constant reminder of the terrible consequences of the fateful attempt to impose an ideology upon a whole nation.